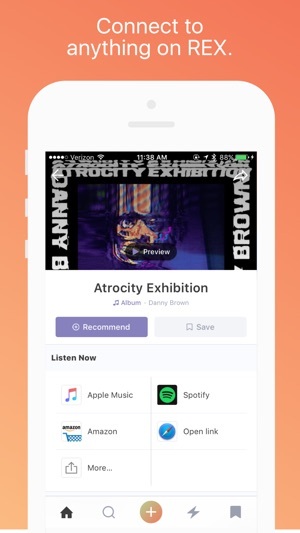 That's why we built our iOS app to be the easiest way to connect with friends to share your favorite movies, music, books, TV shows, videos, restaurants, bars, travel destinations, and anything else you like. • Share anything that’s too good to keep to yourself. • Save posts you want to checkout later in one easy place: the Vault. No more emails to yourself, sticky notes, or screenshots necessary. • Tap any post to watch, read, download, listen to, purchase or learn more about it. No more dead-ends. • Explore featured and trending content - or curated collections. • Use the Map to discover places down the street, or on the other side of the world from friends and experts alike. • Filter by category. See what you want, when you want. This app uses background location sparingly to let you know when you're nearby places you've saved. Continued use of GPS running in the background can dramatically decrease battery life. This update adds a new way to browse nearby places in Explore, fixes bugs, and reduces battery usage. • Explore shows a list of nearby cafes, restaurants, and places. Tap the map to see more or explore other cities. • Fixed a crash which prevented some users from viewing their Vault. • Decreased CPU usage when REX is playing audio in the background. • iOS 10 Widget. See and vault recent recommendations from people you follow on your lock screen. 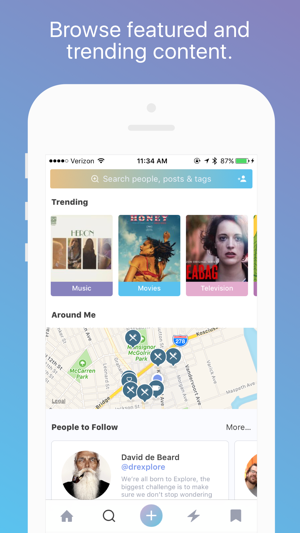 • Suggested people carousel in Explore is a great new way to find new people to follow. • Filter the suggested post feed by tapping on the title bar. 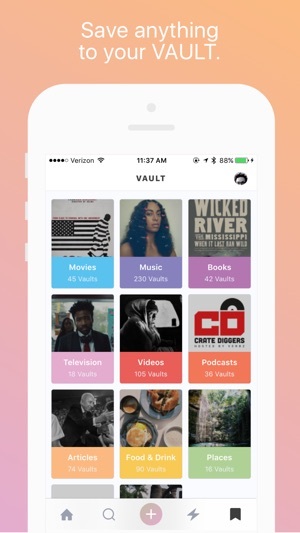 • Tap the [+] button at the top of Vault categories to search for items to add to your Vault. 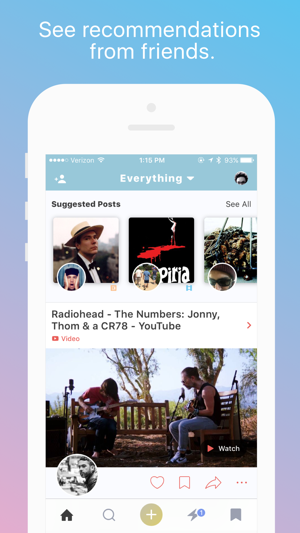 • Music posts in feeds now shows "Song" or "Album" as the category name when appropriate. • Unread activity badge will now clear properly when viewing activity. • Fixed an issue where Apple Music song previews would fail for songs not available in your region. 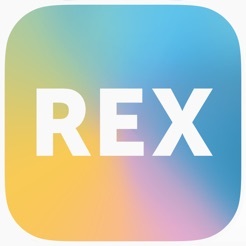 • iMessage app for sharing anything on REX. Search for and share a place to grab a bite, a podcast to listen to, or a funny video – all without leaving iMessage. • REX + Apple Music. Connect your Apple Music account and listen to full track preview in REX, and save music directly to your Apple Music library. • Enhanced notifications. New content notifications show post and profile info for most REX notifications. • You can now view REX profiles on our beautiful new website. Tap the Share button on any profile page to get a link. REX is best with friends. If you like it, please consider taking the time to share it with someone or leave a review. 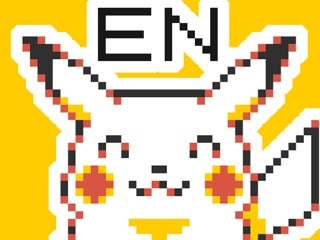 This app is many things: easy to use, well-designed, fun. But the best parts are the whip-smart community, the expert curation by the staff, and the intelligent content. When I'm in need of something fresh for my mind - a good film, book, album, thing to see, video to watch, article to read - this is the place I come to.